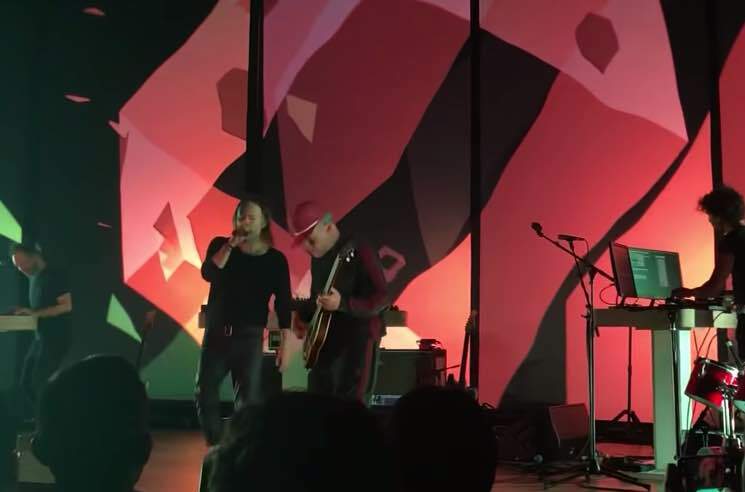 Thom Yorke is currently touring with Radiohead producer Nigel Godrich, but they were unexpectedly joined by their Atoms for Peace bandmates last night (December 19) onstage. While performing at the Orpheum in Los Angeles, Yorke and Godrich invited Flea and Joey Waronker to join them in a performance the band's titular song from Yorke's 2006 solo album The Eraser. Watch Atoms for Peace perform "Atoms for Peace" below. Atoms for Peace's first and only album AMOK arrived in 2013. Yorke's other band, Radiohead, were recently announced as 2019 inductees to the Rock and Roll Hall of Fame.